Mayur Web Technology provides affordable and low cost Customer resource Management (CRM) development services Ahmedabad, Gujarat in India. Mayur Web Technology provides affordable and low cost Customer resource Management (CRM) development services Ahmedabad, Gujarat in India, we are offshore business management software services that allows a company to use a system of integrated applications to manage the offshore business services for outsourcing. Our CRM software services/solutions integrate all facets of offshore company like operation, including development, manufacturing, sales and marketing. CRM procedure at Mayur Web Technology has become more popular, software applications have developed to help offshore / Outsourcing business managers implement CRM in other offshore business activities and may also incorporate modules for CRM and business intelligence and present them as a single combined package. The basic goal of our company in Ahmedabad, Gujarat India is to provide one principal source for all information that is shared by all the various CRM facets in order to smooth the flow of data across the offshore company. At Mayur Web Technology is the best among all CRM development with experienced & professionals. Why Outsource CRM with Mayur Web Technology ? 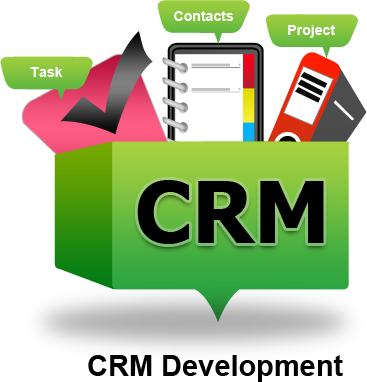 Our development services CRM software, backed by our commitment and focus will help increase your sales efficiency. We are large and small business relationship management software is customizable for all customers. Our models are specifically formatted for your company profile.